Heat & Glo is the innovative leader in technology, design and safety. Search through the entire Heat & Glo lineup of gas fireplaces, gas fireplace insert products, wood fireplaces, stoves and inserts to find out why “No One Builds a Better Fire.” Click here to view all Heat & Glo products! Energy House carries DaVinci Fireplaces. Check out the DaVinci and Maestro collection. Click here to view all DaVinci products! 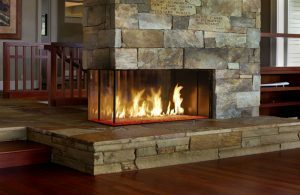 Energy House offers a number of different Fireplace Xtrordinair wood, gas, and electric fireplaces. Click here to view all Fireplace Xtrordinair products! Innovative design, handcrafted with care, unique to each installation. From private luxury homes, to hotels, casinos, restaurants, and other public spaces, a fire feature is the heart of every warm and inviting space. Click here to view all Montigo products! Lopi is a world-class manufacturer of high quality wood burning stoves, fireplace inserts, gas stoves, fireplaces, and pellet stoves. Energy House has a large selection of Lopi products. Click here to view all Lopi products! American Fyre Designs fireplaces, firetables, firebowls and fire urns are available in a variety of styles, colors and textures to complement any décor. Each product is crafted from innovative glass fiber reinforced concrete (GFRC). Click here to view all American Fyre Designs products! Each of our fireplaces is handcrafted for your home in our on-site, cutting-edge fabrication facility. Integrating advanced architectural and technological innovations, we employ for only the highest-quality materials. Click here to view all Town & Country Luxury Fireplaces products! Energy House offer a number of The Outdoor Plus fireplace bowls and fire pits and table. Click here to view all The Outdoor Plus products! We offer a complete line of gas & wood fireplaces and stylish accessories to complement any decor. Adding a fireplace is one of the best ways to increase the value of your home. Click here to view all Kozy Heat products! Modern Flames is known as the innovative leader in modern, contemporary electric fireplace design and technology for residential and commercial settings. Click here to view all Modern Flames products! Heatilator has built a long standing reputation for providing quality, dependable hearth products at unbeatable values. Today, Heatilator remains the most preferred, recommended and installed fireplace brand among building professionals. Click here to view all Heatilator products! For more than 65 years Real Fyre has been creating the most beautiful gas fire products you can buy. We build gas fire logs so authentic looking, they’re equally beautiful with or without a fire burning. And for those seeking a more contemporary look, Real Fyre also offers a wide range of stunning glass and stone designs. Click here to view all Real Fyre products!